For his newest solo opus Parts to a Sum, Mark Haim has created work for some of the world’s most celebrated dance companies including the companies of William Forsythe, Jose Limon and Nederlands Dance Theatre. Now in his late 50s, for Parts to a Sum Haim will connect 371 individuals across nearly 100 years and 20 countries. Specifically, Haim is gathering 371 “dance prayers” from people he has known – family relatives, friends, lovers, colleagues, mentors, students, collaborators – throughout his exceptional international career. Performing this chain of movements from “oldest to youngest” (ages 93-2.5), Haim’s performance ritual is a meditation on life and human interconnectedness. Haim has had an illustrious career as a dancer and choreographer, especially when one considers he didn’t begin dancing until age 17. After a BFA at Julliard and an MFA at Hollins University, Haim went on to choreograph works for some of the world’s most celebrated dance companies in the US, Europe and Asia, among them the Nederlands Dans Theater, Ballet Frankfurt, the Limon Dance Company, the Joffrey II Dancers, the Rotterdamse Dansgroep, the Silesian Dance Theater, the Companhia de Danca de Lisboa, CoDanceCo, the TRANS Dance Co., and Ballet Pacifica. His 80-minute solo, “The Goldberg Variations,” created between 1994 and 1997, was co-commissioned by the American Dance Festival and the Danspace Project, and has been presented at the ADF, the Danspace Project in St. Mark’s Church in New York, the Kennedy Center for the Performing Arts, On The Boards in Seattle, the Munye Theater in Seoul, S. Korea, the First Progressive Dance Festival in Prague, the Theater for the Young Spectator in Ekaterinburg, Russia, and at over 25 theaters around the U.S. Since moving to Seattle in 2002, Haim has become a cornerstone of Seattle’s dance community. He has served as senior artist-in-resident at the University of Washington from 2002-2008, and continues there as a part-time lecturer. He has presented dances to critical acclaim all over the city, including at Velocity’s Made In Seattle, Strictly Seattle, Chop Shop, and at On the Boards, both as part of Northwest New Works and with full presentations in 2002 and 2006. In 2012, Haim premiered his tour de force This Land Is Your Land, collaborating with 14 dancers in the creation of an acclaimed exploration of contemporary life. The piece has been shown in Seattle twice, and has toured to Paris, American Dance Festival, and the Joyce Theater in NYC. Haim is a favorite teaching artist at Velocity, and as beloved for his warmth and curiosity in the classroom as much as for his ingenuity in the rehearsal studio. It’s that warmth and curiosity that has defined his life and work, and makes Parts to a Sum such a unique event. Mark Haim (choreographer/performer) is in his 4th decade of making dances. 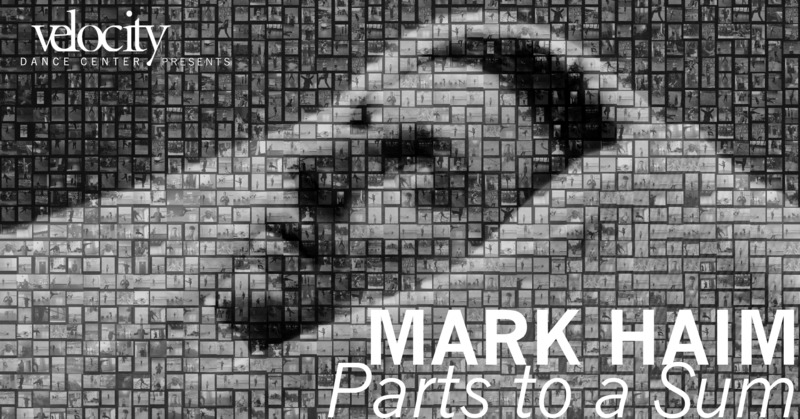 Born in New York City, Mark studied as a classical pianist at the Manhattan School of Music before beginning his formal dance studies with an honorary scholarship at The Juilliard School, where he received his BFA. He has created new works for many dance companies in the US, Europe and Asia, among them the Nederlands Dans Theater, Ballett Frankfurt, the Limon Dance Company, the Joffrey II Dancers, the Rotterdamse Dansgroep, the Silesian Dance Theater, the Companhia de Danca de Lisboa, CoDanceCo, the TRANS Dance Co., and Ballet Pacifica. He has restaged his works on companies such as The Joffrey Ballet, the Bat-Dor Dance Company of Israel, Djazzex, and the Juilliard Dance Ensemble. Since 2002, he has been guest choreographer at The Wooden Floor, an after-school organization that has promised hope and opportunity to nearly 400 low-income youth annually. He is a recipient of a 1987 NYFA Fellowship, 1988 and 1996 NEA Fellowships, and grants from the NPN Suitcase Fund, ArtsLink, Inc., the Harkness Foundation, the Jerome Foundation, and the Seattle Mayor’s Office of Arts and Culture. 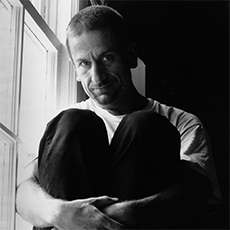 In 2000, he was awarded the Scripps/ADF Humphrey-Weidman-Limon Fellowship for Choreography. His full evening solo project, The Goldberg Variations, has been performed at the John F. Kennedy Center, the American Dance Festival, the Danspace Project at St. Mark’s Church, On The Boards, and other venues in the U.S, Europe, and Asia. His This Land Is Your Land opened the 2013 ArtDanthe Festival in Paris, and has also been performed at the Joyce Theater, ADF, and by groups in San Diego and Beijing. Mark has been teaching dance since 1985, on the faculty of the American Dance Festival since 1993. From 2002-2008, he was Senior Artist in Residence at the University of Washington and in 2009 was Visiting Associate Professor of Dance at Reed College. He is currently on the faculty of the Velocity Dance Center, and the International Ballet Academy. He holds an MFA in Dance from the ADF/Hollins University MFA program and is a Fulbright Senior Specialist.